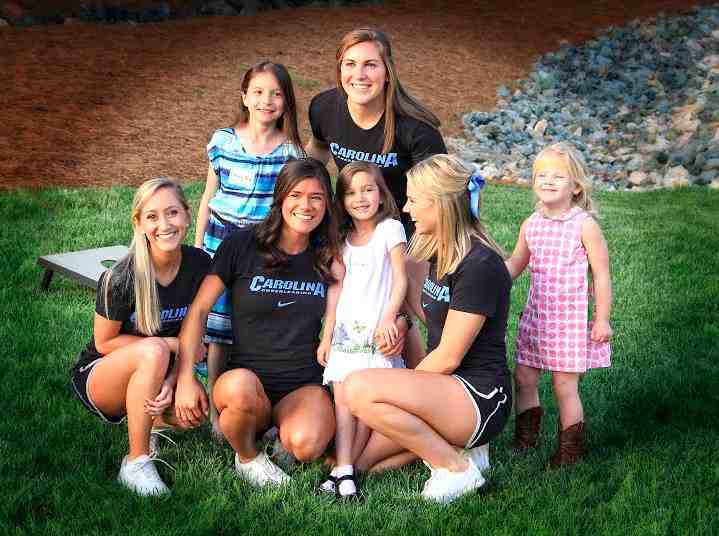 Nearly 400 community members, Tar Heel athletics staff, and Family House guests participated in the 2014 Tar Heels for SECU Family House BBQ and Golf Tournament. Co-hosted by UNC Athletics Director Bubba Cunningham and Head Men’s Basketball Coach Roy Williams, the successful two-day event took place April 24-25 and generated more than $96,000 in proceeds, which will fully fund three of the 40 rooms at Family House for an entire year. 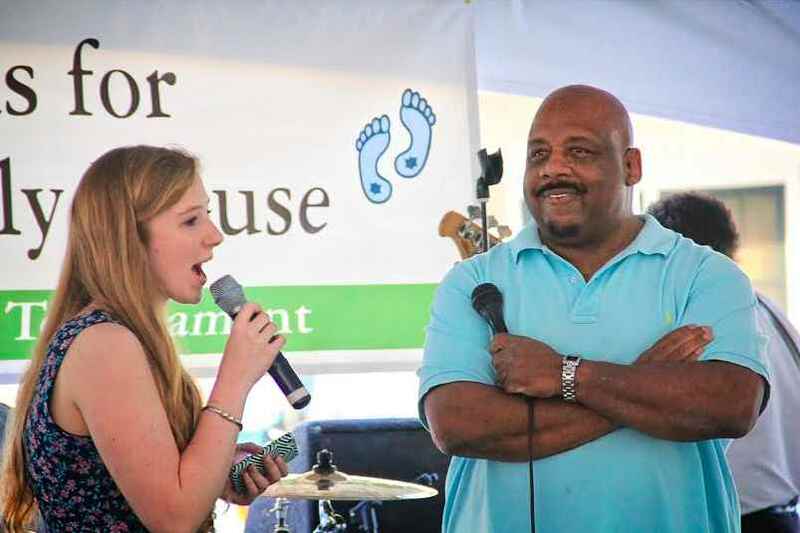 The BBQ featured several special guests: Hall of Famer Phil Ford made remarks along with Cunningham; Tar Heel legend Woody Durham served as auctioneer; and Jones Angell, Voice of the Tar Heels, served as the evening’s master of ceremonies. UNC Health Care was the event’s presenting sponsor, with other leading sponsorships from Laura and Uday Reebye of Triangle Implant Center, the Kelly Eye Center, and VIF International Education. While Friday’s golf tournament at UNC’s Finley Golf Course got rained out midway through the day, golfers maintained good spirits and were able to enjoy a catered lunch donated by Ruth’s Chris Steakhouse. BBQ co-chairs Nicole Lake and Brooke Dever were assisted by Susan Beatty, Tina Cunningham, Rebecca Dirksen, Jennifer Roberts and Courtney Toledo. 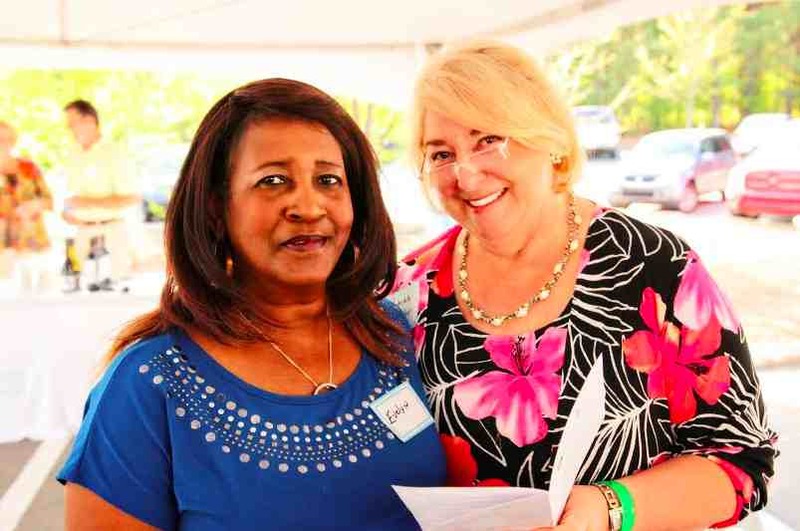 Sally Austin and Ann Petersen co-chaired the highly successful golf tournament for a fourth year, while Suzanne Kozel once again ensured a well-run event by managing volunteers. 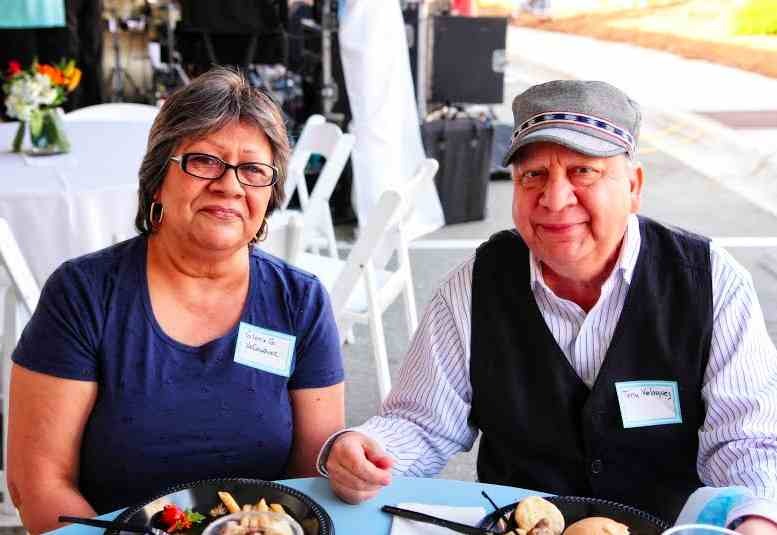 SECU Family House provides affordable, safe, nurturing housing and hospitality for UNC Health Care’s seriously ill patients and their caregiver family members. To date, SECU Family House has provided more than 145,000 guest stays and housed more than 10,000 patients from all 100 of North Carolina’s counties, as well as 35 other states and 7 other countries. It is so nice to see people come together and open their hearts and wallets for such a great cause. It reminds me of the PGA childrens hospital event that raises money to help take care of the families of cancer children while going thru treatment. This was really nice and I am glad to see that it was such a success. Their needs to be more nice people like these to help others in need. Such a great cause. I know that there are nice people left in the world, just sometimes they are hard to find, but they are there. Congrats on a job well done and keep up the great work helping others in need. You will be blessed in the in end for this giving that all of your performed. Job well done.